This subject provides links and information pertaining to deafness in children. One of the things which struck me, when I recently read a story by a hearing mother of a baby born deaf, was ‘We wanted him to have a life like ours.’ And isn't that what all parents want? My deafness is not hereditary, but nevertheless in the back of my mind was whether my delightful new grandson had somehow inherited my deafness. We all want our children to be perfect, to have the best advantages and start in life. If you suspect your child isn’t responding to sound the way you expect what should you do? Is my child deaf? Here are some suggestions of what you can do. This site provides information on causes of deafness in children. Hearing loss prevelance in the UK is about 390 children per year. 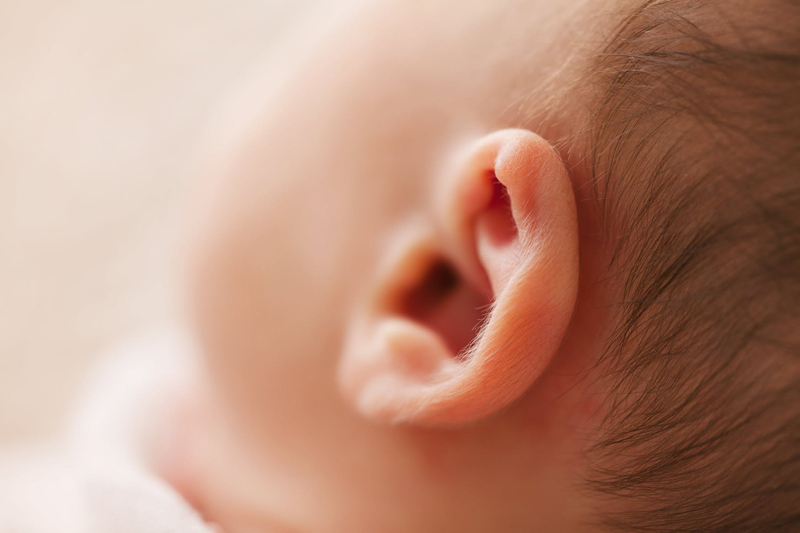 This research found that many parents were opting for a cochlear implant. As late as the mid-20th century children with a hearing loss were often misdiagnosed and parents were told they had a mental deficiency. Research has found that children must receive stimulation to the auditory nerves during the early formative years. Languages are complex and I think it is amazing we learn it with such apparent ease as children. It is so much harder for a deaf child. The process of learning to talk - the milestones and achievementsseems so complex. Imagine how hard it would be if you were deaf. Without hearing it is more difficult for a child to learn a language and without language we cannot even think. You want the best for your child. Get their hearing checked so if they need it they can get the appropriate treatment. Now that I know so much more about hearing and deafness, it’s fascinating to observe my baby grandson in his journey to acquiring language. This site provides news, events, and resources on childhood deafness. This is a site giving information about the care of deaf animals. When a child hears for the first time, what causes the excitement and joy? Is it the sound of his mother's voice or is it something else. It is exciting and it is wonderful that the child is now hearing but it will take time for them to learn to listen and understand what they are hearing. What language should my deaf child learn? Everyone needs to be fluent in the lanugage of their country so the real question is not what language should my deaf child learn but rather should they be taught sign language first? How would you react if, after giving birth to your perfect child, your doctor tells you your child is profoundly deaf? “Your child is deaf” – words parents of a newborn or toddler definitely never expect to hear. Their reaction, whether they themselves are Deaf or hearing, is usually one of shock, anger, fear, grief and confusion.